Homeschooling isn't just an educational choice. In our home, it is a family culture. Even when the books are stashed away and the hands on the clock read "school's out", learning is still happening. Over the years, I've peppered our home with strategically placed items designed to bring about curiosity, imagination, and learning around the clock. Call it sneaky if you must. Who says an education can only happen between the hours of 8 and 3? Or when a teacher is teaching? Children are natural learners. It's how they are wired. By providing an empty, unhurried afternoon schedule and a little suggestive inspiration, I can create a home that cultivates learning ALL DAY LONG. Here are just a few ways that you, too, can sneak a learning culture into your home. start a blog- Set the security to "lock" so that only invited guests may read it. invention box- Fill it with empty containers, cardboard, egg cartons, etc. for inventing and creating. science exploration box- Fill it with a magnifying glass, clipboard, binoculars, specimen jars, etc. 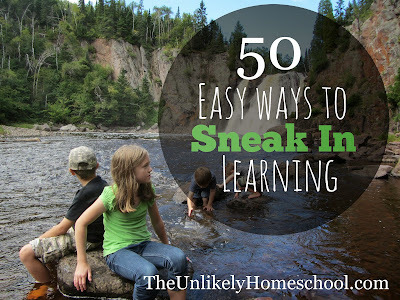 Need more ideas for sneaky learning? 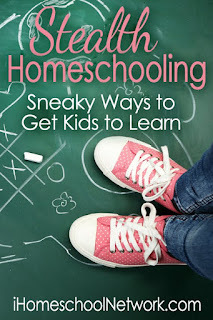 Be sure to check out these thoughts from the lovely ladies of iHomeschool Network. Or join me on Pinterest for the best-of-the-best ideas from around the web. I have one son who loves science. Science kits make it possible for him to explore his passion with or without my help! Ahhh...summer pictures. We're SOO looking forward to Spring and Summer around here! 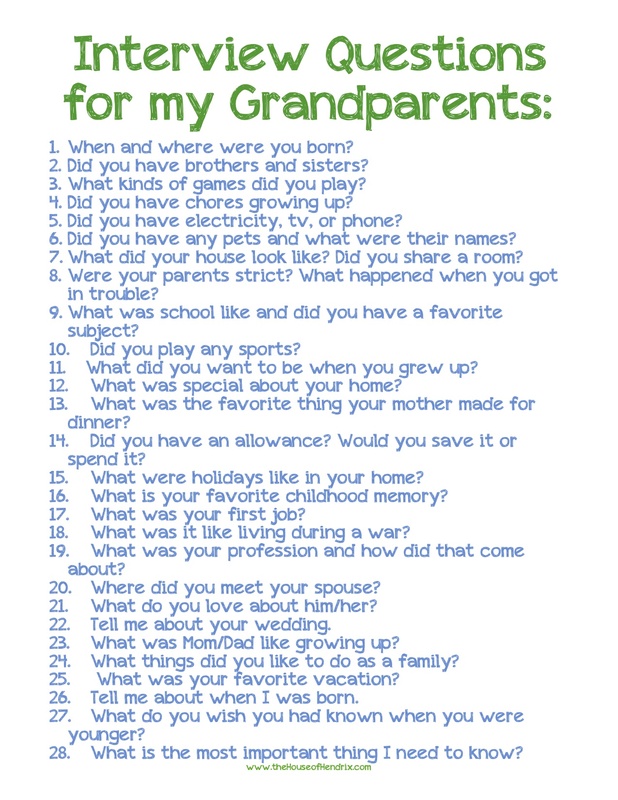 Okay, I have to know, since you linked to this post again. Were those pics taken at Gooseberry Falls? We were there for the first time about a month and a half ago and absolutely loved it! Can't wait to go back!